The biggest thing to remember about the Striped Marlin is that it is simply extremely rare and has a very long time between possible chances. There really aren’t many relevant tricks and there’s no secret to it. This page mostly serves to debunk various myths and reassure the correct method, but I have every single bit of relevant info I’ve found no matter how small. 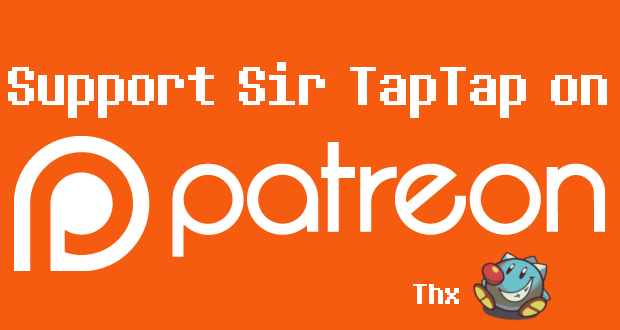 You can support me and my guides monthly on Patreon (and even score some rewards like cute cat pictures)! The more I earn the more time I can spend on improving guides like this. 2017-10-20: Fall Event is ending soon, just message the developers directly if you still can’t get it and you’re sure you’ve done it right. 2017-10-11: The Star Striped Marlin’s appearance rate per 30 minutes was raised to 100% in an app update. Download it now if you don’t have the starlin! 2017-10-01: Added Bonito and the Star Striped Marlin (AKA Starlin) for good measure. 2017-07-10: Added info that the Marlins can occasionally spawn entirely out of sight, so looking up with the Camera can help. 2-17-06-20: Added possible info about Star Horn Coral being required, which is neither confirmed nor proven false. 2017-06-02: App update was just released stating the Striped Marlin earning rate was increased! Also, even before the update people seem to have been getting them much more often. Hopefully their rarity is reduced. It’s now unknown if the prior “guide” AbyssRium posted is the new actual unlock condition or still false. 2017-06-01: AbyssRium posted a “Guide” on facebook for getting the Marlin. The information contained within is 100% false. Don’t Give Up! Trust Your Instincts! They’ll randomly appear even though you don’t have them and swarm around in a group of 6+, swimming extremely fast and all around the screen in front of the Coralite. The photos above show their appearance, white and blue swordfish. Your camera has to be focused on the Marlin for the image to count. To avoid missing them, take a picture immediately and pan/zoom the camera while the frame is frozen, then tap on a Marin, then take another picture. It’ll count for the Marlin even if you weren’t originally focusing on it. I don’t know how we know this, but it’s usually said the percent chance is 10% each 30 minutes. This means failing 10 times (five hours!) is not unheard of, and failing even 20+ times is possible. There is no way to see this timer, you just have to play for a long time and keep your eyes open. If you miss them, they’ll come back (but don’t miss them!). Someone missed them twice before finally getting the picture properly. Note that Marlins can occasionally swim out of view for some people, so you can watch the top of the tank or use Camera Mode to zoom the view out and look up from the sea floor if you’re suspicious. There’s not a secret, it’s just really really rare. You might feel you’re doing something wrong, but remember at a 10% chance, it’s expected to take around five hours of playing to see them, and it’s not impossible to not see them after even 10 hours! It’s completely normal to not get this fish for multiple months. Yes, it’s terrible, complain to the developer. But they’re pretty bad at addressing real issues. It seems highly unlikely however, as hidden fish requirements are almost never updated and the Marlin came out before the game started making features online-only. 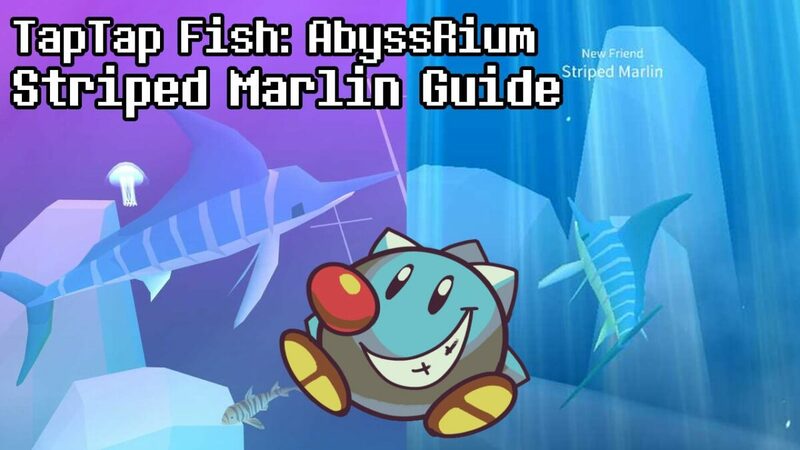 AbyssRium recently shared a “guide” made of 100% false information (and I’m extremely unhappy about it).They have since rescinded this information. The Marlin is not confirmed to appear at any exact interval of 30 minutes. Not your skill recharges, not from the first time you open the game today, not from the Time Machine counter in daily missions. There is no way to know when the Marlin check is actually occurring unless the Marlin appears. After which point it no longer matters. While watching for 30 minutes at a time will lower your chances of missing the fish, the timer is not cumulative and switching apps is not a problem. You also don’t have to close the game to get a second chance. Feel free to wait with the camera open if you like, though it’s hardly necessary. Be absolutely sure you have a maximum zoomed out view of the front of the Coralite though, wonky camera angles that can’t see the Marlin will put you at a disadvantage! You can play normally, tapping doesn’t prevent them from spawning from what we can tell. Lots of people think it’s logical to focus your camera on a different Marlin since the visiting ones will swim in the same spot, right? 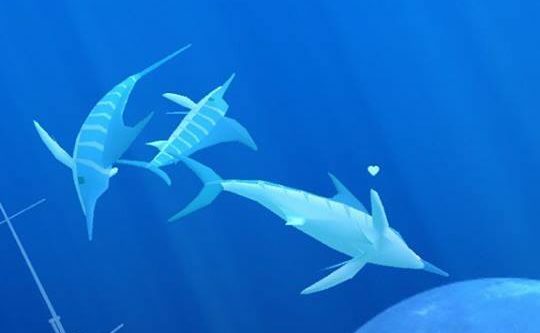 No, the visiting Marlin’s AI is completely different and they do not swim anything like the normal Marlin. There’s no reason to focus your camera on any other Marlin-like fish. While a common strategy is to store all fish so the Marlins are easier to see, they can and will appear if you have other fish out. Send all complaints, bug reports, etc directly to the developers’ Facebook page. They do read it, though they haven’t changed the Marlin (yet). While it’s cathartic, the other people on the bus are getting a bit concerned. I know it is frustrating, but please do not sacrifice a loved one, goat, or a loved goat, in attempting to unlock the Striped Marlin. It will make a horrible mess and will not unlock it any faster. To “Marlin Hunt”, we basically just want to watch the game over a long period from a perspective that can see the Marlins. First, plug in your phone and leave it in your peripheral vision while you watch a movie, work on something, whatever. Put the game in Power Save mode and maybe dim your phone a bit, Tap Tap Fish is a huge energy hog. Make sure your phone is close enough that movement will catch your eye even in your peripheral vision (motion is what your periphery is for after all!) and take glances at it once in a while. 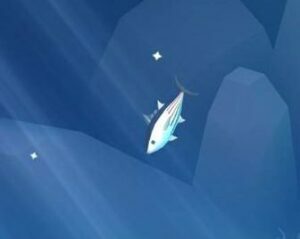 Optionally, you can store all your fish and use a dark background like Midnight Sea or Night of Valentine’s to make the white and blue Marlins stand out even more. If you have them, the less distracting Coral colors like the White Dye can help just a smidge as well. You can also sit in Camera mode and watch; zoom out and look up while keeping the Coralite’s face in view, sometimes the Marlins swim high out of view, an infuriating bug. Now you just wait. It could appear in 30 minutes, it could appear in 30 hours. I wish it didn’t be like it is, but it do. If you see the Marlins, immediately snap a picture, even if it’s just of blank space. Then while the game is “frozen” in Picture mode, you can pan and zoom; use this to find the Marlin and tap it to focus. The camera angle won’t change, but you’re now “focused” on the Marlin and snapping another picture will unlock it. Leave the camera mode and you should see the Hidden Fish unlock confirmation dialog; congrats and enjoy your new fish! If you don’t get the confirm double check that it’s not in your fish list and take another picture; they swarm around for a while so you have some time. The Striped Marlin is, more than anything, rare. It’s not complicated and you’re probably not doing anything wrong. That’s about all we know about the Striped Marlin for now. Again, if you have any extra tips or anything else to debunk, use the comments section below to reach out. Identical conditions to the Bonito, even looks similar. They’re all related to (or are) Tuna. No, Yellowfin and Bluefin are not part of the anniversary event and can be gotten at any time. No fusion tab fish are event fish. No, taking pictures of Bonito does not unlock Wahoo, I don’t know why people keep emailing me that. That bug worked for like 1 week several months ago. 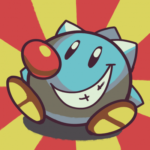 Previous Previous post: Potion Maker Game Guide – Events, Fairies & Other Info!